NFD7 is Over; It’s Redux Time! Free HD Live Stream of NFD7! Just like the title says… you can watch along as the sponsors present at Networking Field Day 7 (NFD7)! Video feed, schedule, and other links are below. It begins today! 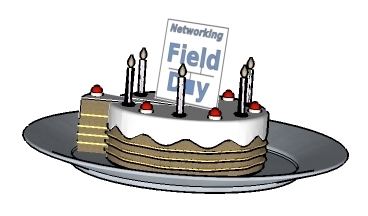 Networking Field Day 7 (NFD7) is kicking off with three sponsor presentations today, and we hope you’ll join us too and share your thoughts and questions via Twitter.